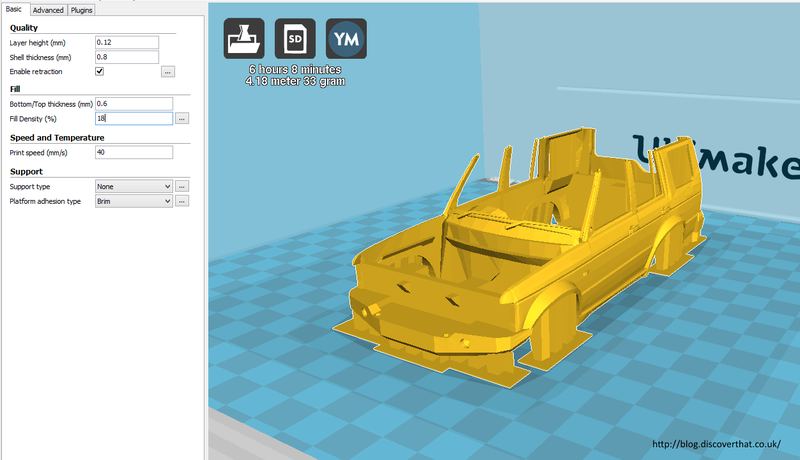 I have at long last finished a model of my car ready to 3D print. 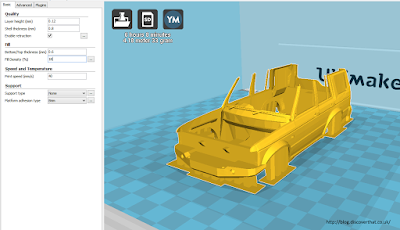 I have been trying to print it but the latest version of Cura, version 15.06.03, has a flaw in it's output. 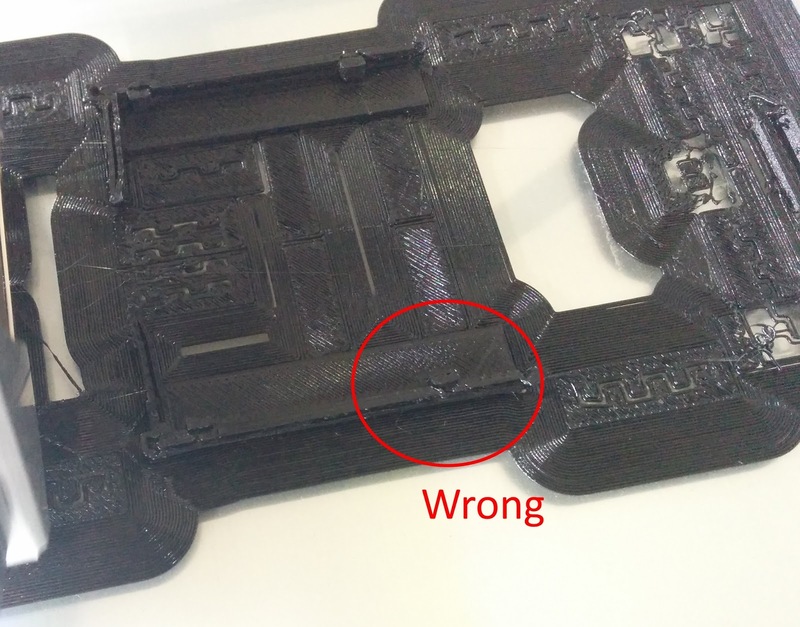 At least it's output does not work for me! 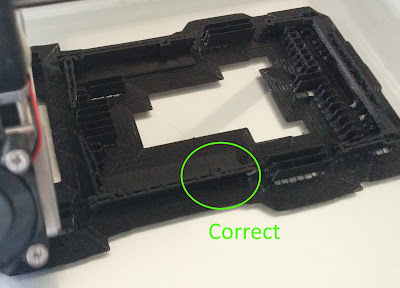 Shortly after the stage shown in the above photo I abandoned the print because other areas had such a poor joint they fell apart on the printer. I was fairly sure all the shapes used to create the model were closed manifold objects but still, at first I assumed it was my model. 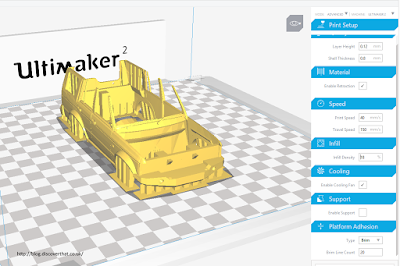 After a lot of failed attempts, checking that the model was manifold and some test printing, I reverted back to the older version of Cura, version 15.04, and the model is now printing as expected. I have done a test with the same shape object. One version combined in to a single non-overlapping model (B) and the other as two intersecting meshes (A). With 15.06.03 only the non-overlapping model (B) prints as intended. 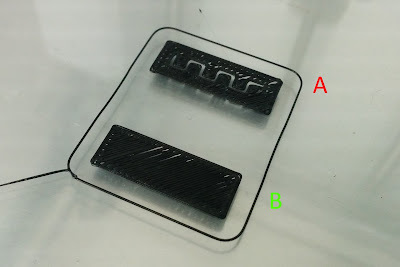 In the above example, both printed using gcode from Cura 15.06.03, both objects look the same in Blender but I did a boolean join on object B. 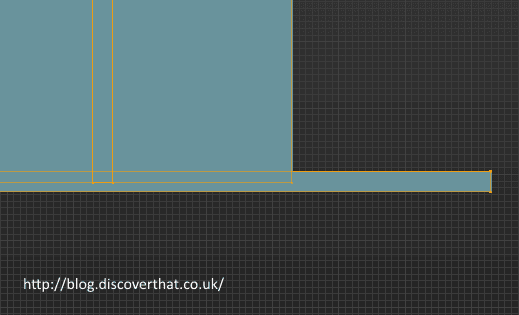 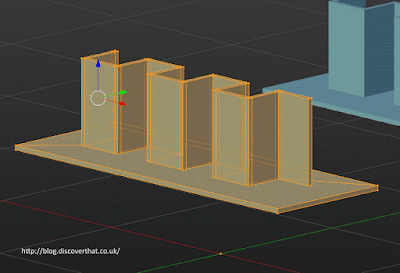 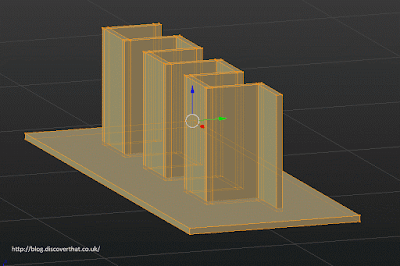 Object A shows edges that do not touch the build plate in the design! 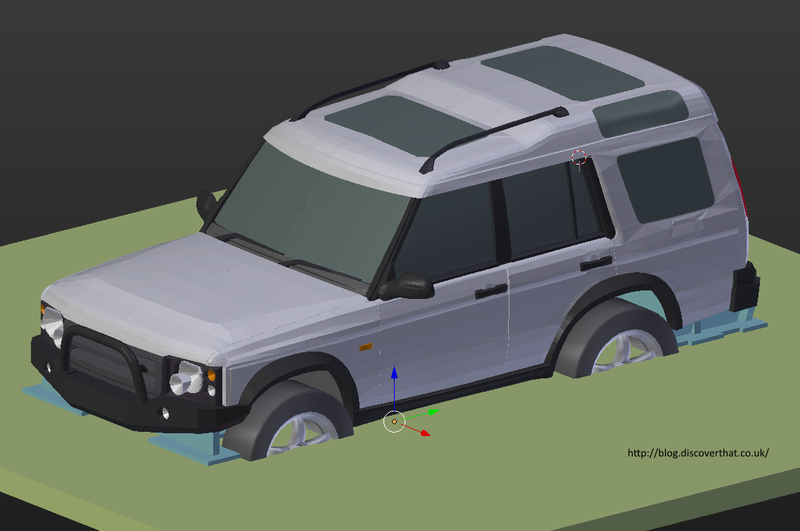 What the full finished model should be is a Land Rover Discovery 2, specifically my car. 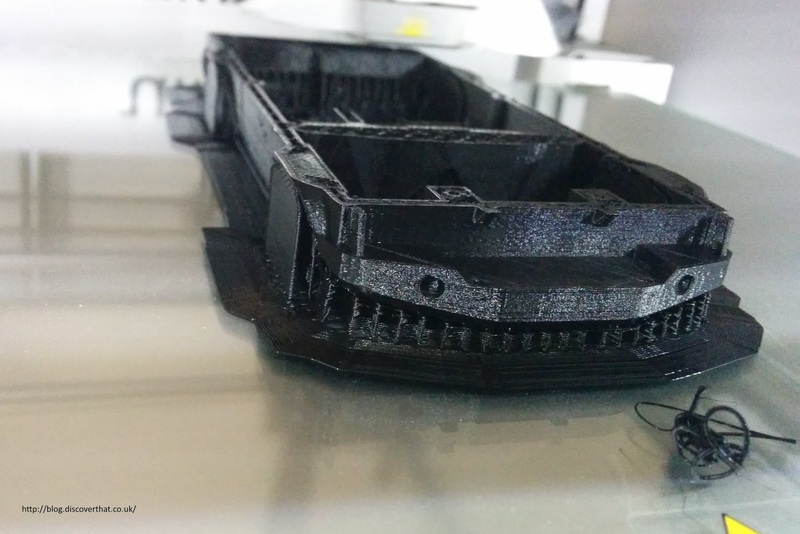 The roof and bonnet are removed to minimise the amount of support structure needed for printing. 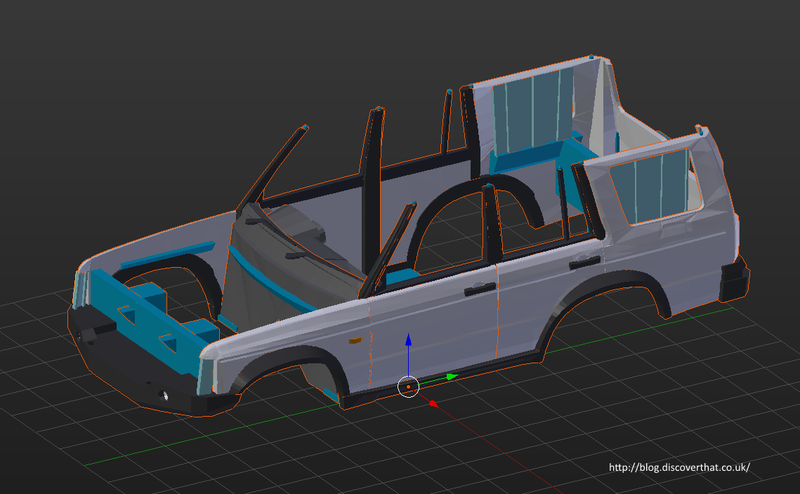 They will be printed as separate components and glued on, as will the front grill and lights. 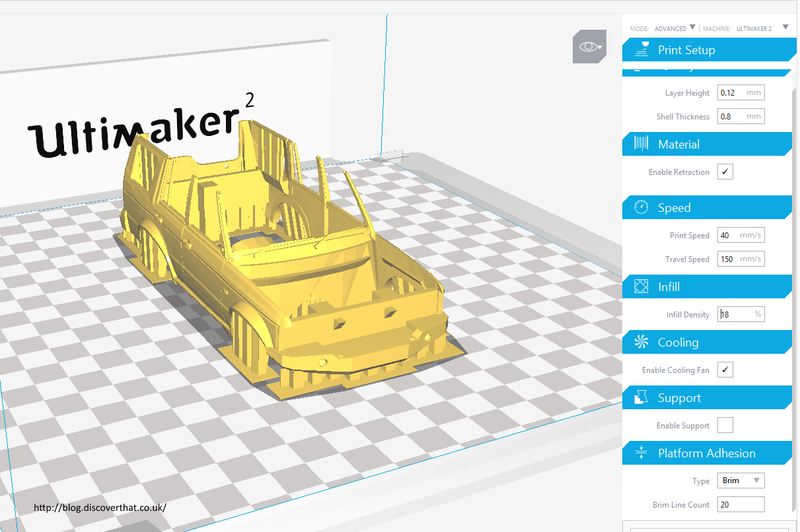 At the time of writing it has got just a bit further than the above photo now I am using Cura version 15.04. That is too cool, as an LR4 owner I love it.